It’s going to be another hot and humid day with more showers and storms. Once again, some storms could produce heavy rain in a short amount of time. Highs will be back in the upper 80s. A few storms may linger tonight with lows in the mid 70s. Thanks to a cold front stalling to our north, we’re going to see widespread showers and storms develop on Wednesday and Thursday. 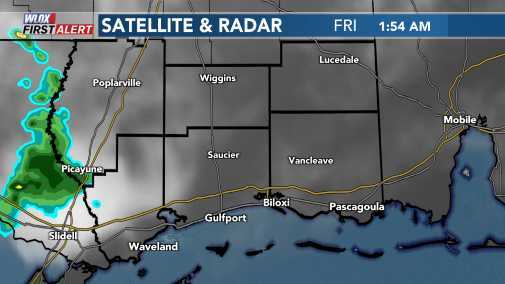 Unfortunately, this cold front will not pass through South Mississippi, so it’s still going to be warm with highs in the mid 80s. Rain chances will decrease by the weekend, and highs will near 90. In the tropics, we have Post-Tropical Cyclone Leslie and two other disturbances, but none are threats to the Gulf.